Watch UFC 227 on the LARGEST screen in Portage Lakes! Come on in or watch it from your boat! 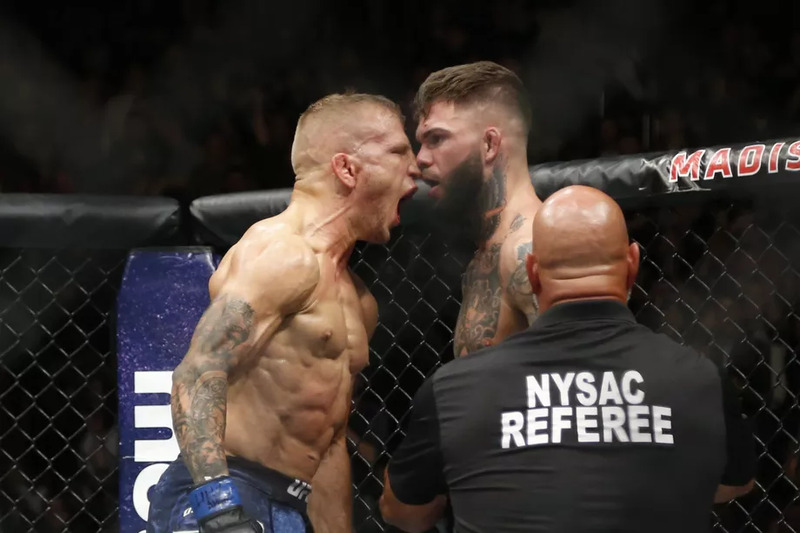 Bantamweight champion TJ Dillashaw takes on bitter rival Cody Garbrandt once again. Dillashaw knocked Garbrandt out in a thrilling bout at UFC 217, and Garbrandt has been granted an immediate rematch.